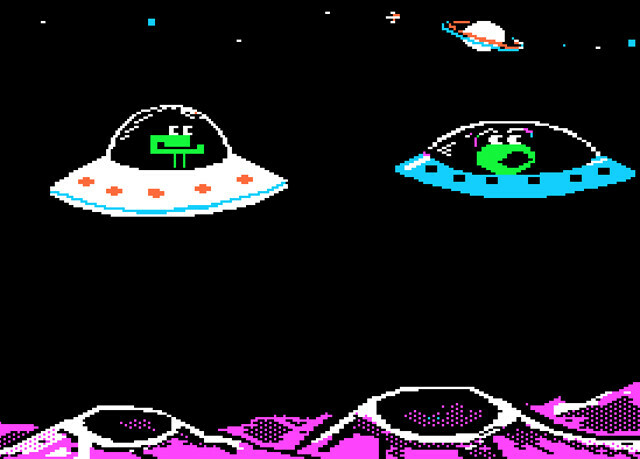 Of course, The Oregon Trail was the undeniable cream of the crop, but that doesn’t mean I didn’t have fun with others, especially 1985’s glorious twins, Number Munchers and Word Munchers (also published by MECC). In both games, you’re given a simple problem, which you solve by eating all of the appropriate answers from a grid while avoiding the evil (or perhaps just carnivorous and hungry) Troggles. The main difference between the two games was that in Number Munchers you were solving math problems or finding multiples and factors, while in Word Munchers you were finding correct vowel sounds or parts of speech. I was decent at math as a kid, but I was years and years ahead of my classmates in reading comprehension. This means I was a complete beast at Word Munchers. In Number Munchers, I could hold my own, but when I was chomping down on delicious words, I was unstoppable. I was laying down traps for Troggles like nobody’s business. 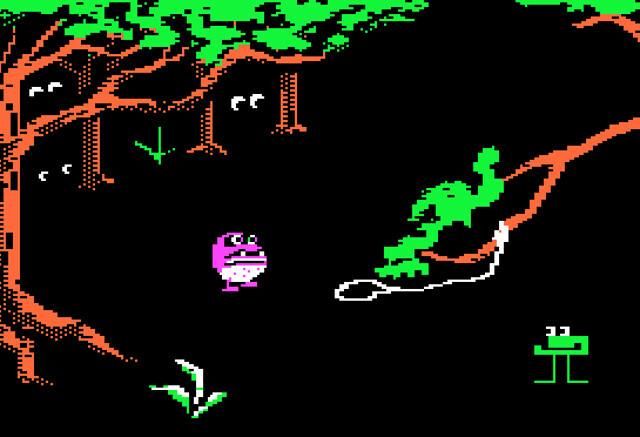 You see, between every three levels is a quick little cutscene, usually involving your mischievous muncher pulling a prank on one of a variety of Troggle type. The further you progress in the game, the more of these cutscenes you get to view. What I didn’t know as a child is that these games feature teacher commands (as do most MECC titles). To access them, simply press CTRL and A while on the menu screen. Here, you can set a number of parameters, including problem type and difficulty level, allowing teachers to change settings based on the grade level of their students. I can’t help but wonder how many computer-savvy kids figured this out and messed with settings while the teacher wasn’t looking. 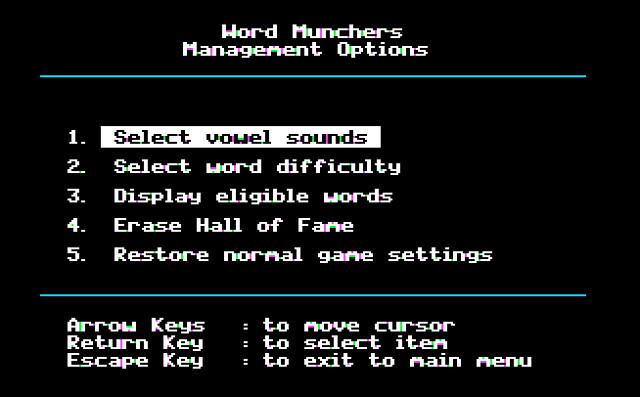 MECC released a surprising amount of edutainment games in the 1980s, but Word Munchers will always have an extra special place in my heart. It was the one I excelled at the absolute most, and it was the one in which I never once died of dysentery.